Four former Georgia Bulldogs will play in the 2015 NFL Pro Bowl. The game will be played on Sunday, Jan. 25, 2015 in Glendale, AZ (8pm ET, ESPN). Detroit Lions Quarterback Matthew Stafford was named to his first NFL Pro Bowl. Stafford was added to the roster yesterday after Peyton Manning withdrew because of a right thigh injury. 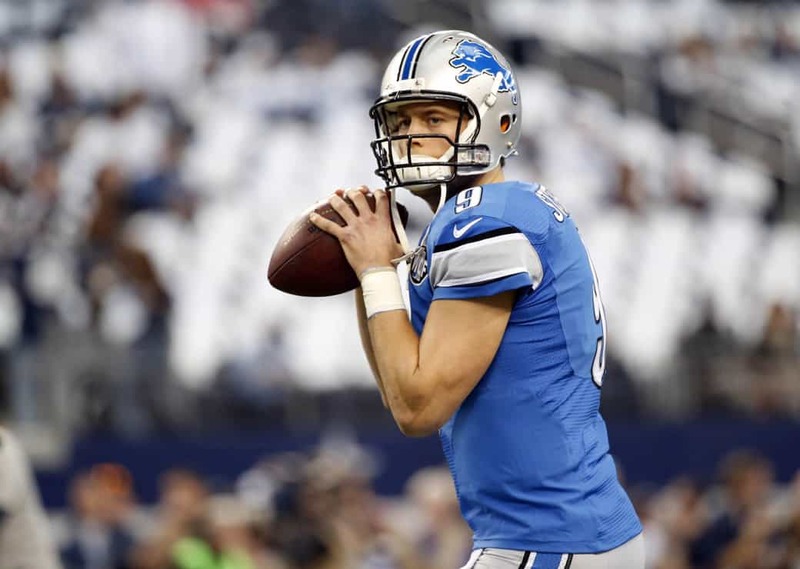 In the 2014 regular-season, Stafford completed 363 of 602 passes for 4,257 yards and 22 touchdowns. In the Lions’ post-season game against Dallas, he was 28-of-42 for 323 yards with one touchdown and one interception. Justin Houston, an outside linebacker, was named to his third Pro Bowl. This season, Houston recorded 22 sacks (a single-season Kansas City Chiefs record) and 68 total tackles (59 solo). Cincinnati Bengals defensive tackle Geno Atkins was also named to his third career Pro Bowl. Atkins completed the 2014 season with three sacks, 20 tackles (6 solo), and one forced fumble. In two playoff games, Atkins recorded two tackles and 0.5 sacks. Wide receiver A.J. Green was named to his fourth Pro Bowl following appearances in 2011, 2012, and 2013. This season, Green caught 69 passes for 1,041 yards and six touchdowns. Congrats to these four Bulldogs on making the Pro Bowl!